A podcast about all things Macintosh. For Mac geeks, by Mac geeks. An enhanced podcast about all things Macintosh. For Mac geeks, by Mac geeks. 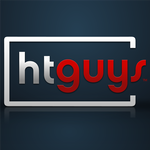 A special episode of the Maccast looking in depth at the new Apple TV Take 2 with Ara Derderian from the HDTV podcast at htguys.com. A podcast about all things Macintosh. For Mac geeks, by Mac geeks. Special coverage of AppleTV. This show features a discussion with special guest Ara Derderian from the HDTV Podcast. We talk about Apple’s soon to be released AppleTV product. The show goes into the features offered by the first generation product and we discuss it’s benefits and it’s shortcomings, plus offer some alternatives. The goal was to answer many of the questions we have all had since Steve Jobs previewed the device at WWDC. Hopefully we did a good job.